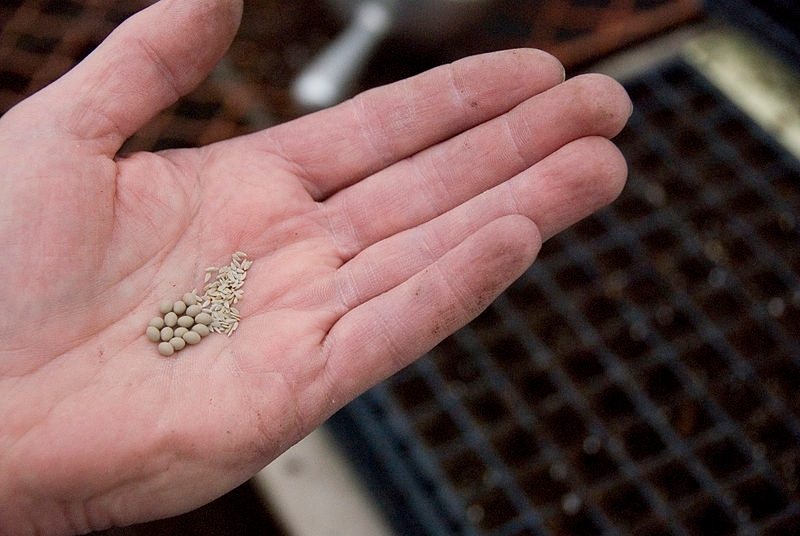 Seed libraries are sprouting in California, including a new one in San Bernardino created with the support of UC Cooperative Extension Master Gardeners, reported Suzanne Sproul in the San Bernardino Sun. The story was picked up by the Los Angeles Daily News and the Orange County Register. San Bernardino County Regional Seed Library was set up at the Chino Basin Water Conservation District in Montclair. Here, visitors learn how to obtain seeds for flowers, fruits, vegetables and more. A key component is returning seeds, so the process continues to expand and grow. “We're interested in germination quality, yield and any other information that helps with categorizing the seeds,” said Dona Jenkins, UC Cooperative Extension Master Gardener coordinator in San Bernardino County. “Any and all seeds are welcome, but we are focusing on edible ones and those from pollinator plants." Jenkins said saving seeds for next year's garden and sharing them with friends and neighbors isn't new, just enjoying a revival. "It's what people used to do and is important today because we have lost 94 percent of our diversity with seeds," she said.